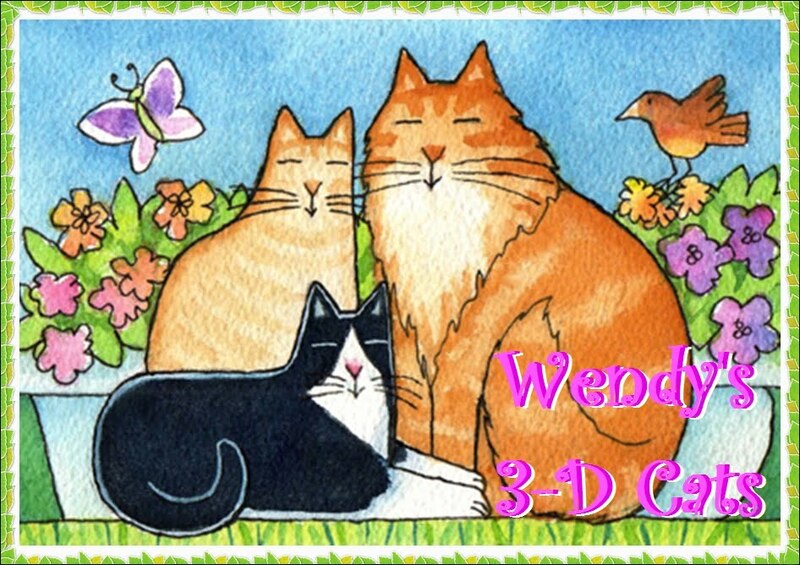 Wendy's 3-D Cats: DOMINO IS FASCINATED BY FASCINATORS! 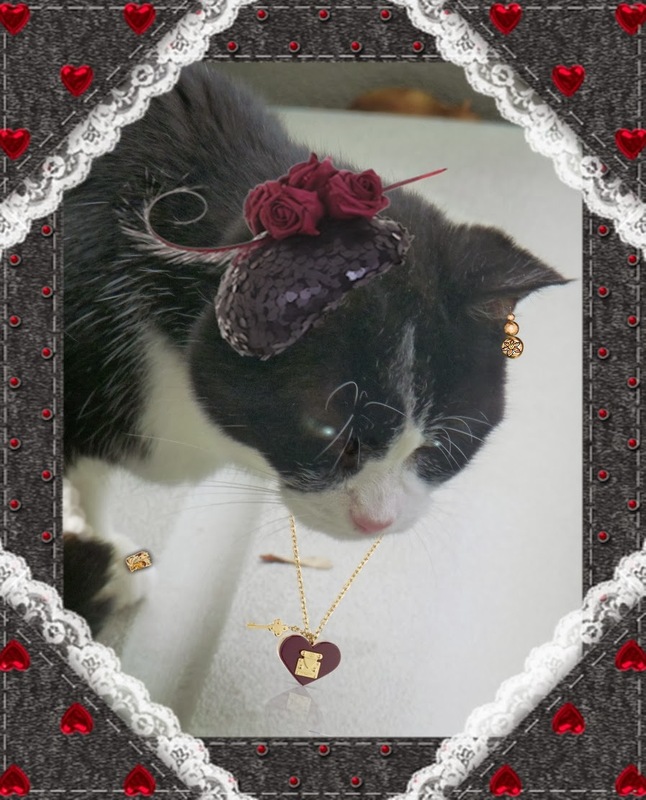 Domino loves hats, but she finds fascinators even more fascinating! 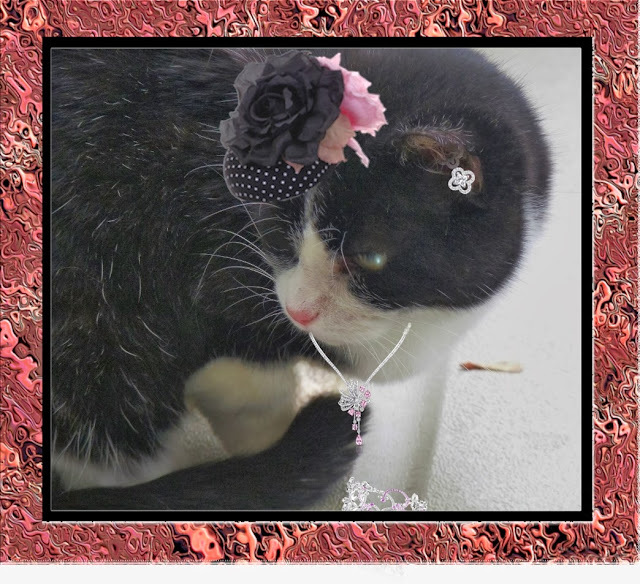 "Dey are liddle hats dat yoo wear on wun side of yoor head, so yoo kin still wear an earring on de uddah side", says the very PURRactical Domino. 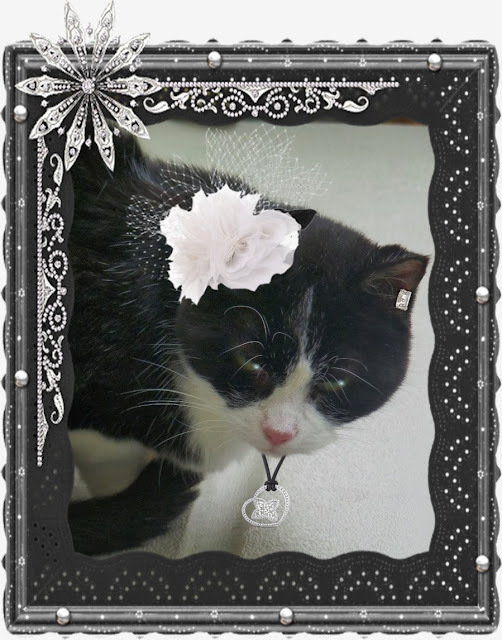 This little white and black number complements her complexion to PURRfection, don't you think? Here Domino is 'pretty in pink' as an accent to the black and white that defines her. When it comes to her jewels, she favours Louis Vuitton. 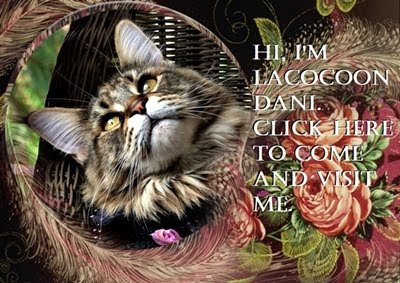 His design is so deliCAT -- just like she is! Domino succumbed to black sequins, red roses and yellow gold in this ensemble. Red is the colour closest to her heart. "I also finds feddahs verreh fassinatin'" says she. "I fink I'll haff a liddle snack wen dis is all ovah."